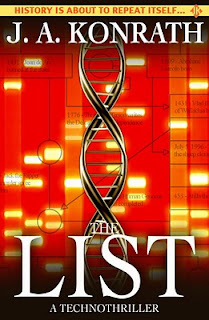 On Feb 15th I dropped the price of my technothriller novel, The List, from $2.99 to 99 cents on Kindle and Nook. As of 2/15/2011 7:30pm, The List had sold 592 copies sold on Kindle in February. That had earned me about $1200. Now, a little over eleven and half days into the experiment, The List has cracked the Top 100 overall bestsellers on Kindle. At 99 cents, I only earn 35 cents per download. I'm now selling 533 sales a day. At 99 cents, I'm now making $187 a day. Now, the automatic reaction to this might be, "Wow, cheap prices = more money! I've got to lower the price of all my ebooks to 99 cents!" But that assumption is incorrect. 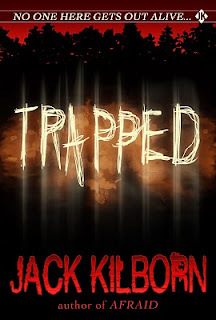 My horror ebook, Trapped, which is currently ranked at #325 on Amazon, has sold 3640 copies this month. It is priced at $2.99, and I earn $2 per copy sold. On Trapped, I'm earning $276 a day, selling 138 copies daily. For it to earn that at 99 cents, I'd have to sell 6 times as many copies, or 828. Maybe I could, if it climbed high enough into the Top 100. Certainly the best selling ebooks are hitting higher numbers than that. But that's going after the two birds in the bush, when I'm pretty happy with the one currently in my hand. 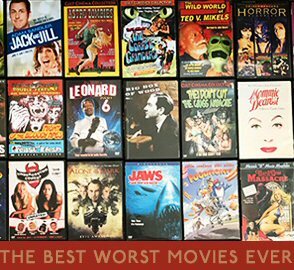 The List, originally ranked at #1100, was a better gamble. So what about my other titles? I have a few novels that are ranked higher than The List was. Should I drop their prices to 99 cents and see what happens? Currently, I'm selling 539 a day. So my belief that a bestselling ebook improves the sales of backlist titles doesn't seem to have much merit. Which means, based on the data I've accumulated, it might be a wise move to lower the prices on some of my other ebook novels. By guesstimate, if I have novels ranked over #1000, it stands to reason that I should drop them from $2.99 to 99 cents. But for novels ranked lower that #1000, it is too big a gamble, so I should leave those at $2.99. My novel Shot of Tequila is my poorest selling ebook novel, currently ranked at #2523, and having sold 453 copies this month at $2.99 each. I have just lowered the price on it to 99 cents. I have no idea if sales will take off like they did with The List, or if Tequila can crack the Top 100. It might. It might not. But I'll keep Tequila at 99 cents for two weeks and see what happens. Tequila is currently earning me $33 a day, averaging 16.5 copies daily. In order to match that, I'll have to sell about 100 a day at 99 cents. I'll start keeping track once the new price goes live. Even more interesting is a dilemma I haven't had to face yet. The List is currently in the Top 100 at 99 cents. So when, if ever, should I switch the price back to $2.99? 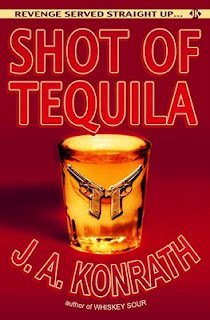 Added: At 5:30pm Shot of Tequila was lowered to 99 cents on Amazon. Its rank is #1405, and I sold 483 copies so far in February.